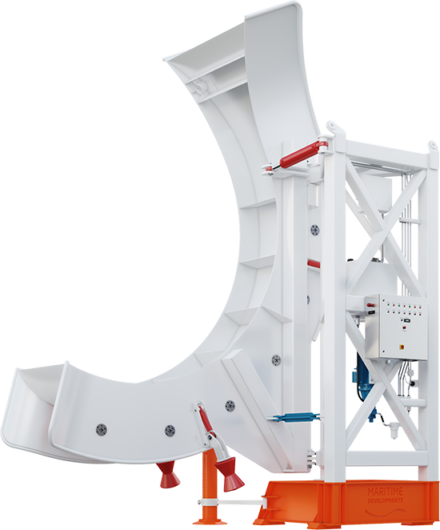 To ensure safe journey of the product between the vessel and the seabed, the overboarding chute comes as an essential part of a horizontal lay spread. Manufactured to the client and project requirements, Maritime Developments’ chutes can feature a low-friction plate running surface or a roller configuration, detailed to suit the preferred product range. 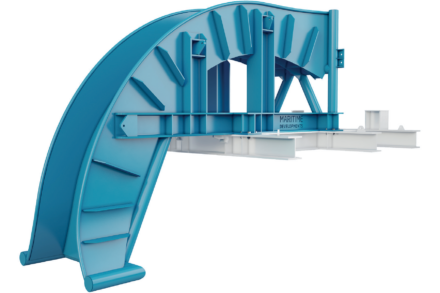 With proven designs for both types of chutes, the MDL solution makes sure the integrity of the product is never compromised - just like the rest of our product handling range. As well as overboarding chutes, Maritime Developments delivers the full turnkey package of back-deck handling equipment including reel drive systems, pipelay tensioners, spoolers, level winders, compensators and control systems.